On November 5, 2010, Superior Court Judge Hon. Robert Perry sentenced former BART Police Officer Johannes Mehserle to two years in state prison for the January 1,2009, accidental shooting death of 22-year-old Oscar Grant at the Fruitdale BART station. At the time, BART officers, including Officer Mehserle, confronted and engaged Grant following a disturbance where Grant was identified as a suspect. During the confrontation, Grant physically resisted Officer Mehserle, who subsequently shot tbe prone Grant with his handgun. Officer Mehserle stated that he thought he initially shot Grant with his Taser, only to immediately discover that he actually shot Grant with his sidearm. Judge Perry's decision will forever change the lives of Mehserle and the surviving members of Grant's family, and will collaterally impact Mehserle's parents, his young wife and infant son. The judge's decision may also affect the minority community who has sought "justice" against what some activists have historically claimed is the "oppression of people of color by white police officers." Certainly the circumstances of this incident, Officer Mehserle's indictment, prosecution and conviction and his sentencing will have a profound impact among certain segments of the law enforcement and force training communities. As many recall, Officer Mehserle was tried in a change-of-venue trial in Southern California for shooting and killing Grant, an unarmed BART rider. Following deliberations, a jury subsequently convicted Officer Mehserle of involuntary manslaughter after failing to convict him on charges of murder and voluntary manslaughter. While the jury did not find that Mehserle intended to kill Grant, they did decide that the officer intended to shoot him. There's the forensic rub. Exactly with what weapon then did Officer Mehserle intend to shoot Grant: a gun or a Taser? As a 31-year law enforcement training consultant and a CSI forensic criminologist specializing in force analysis, officer-involved shootings and the psychophysiology of stress-induced encounters, I have researched and written extensively on the psychological and physiological effects of acute stress upon officers and subjects. I have also found a clear nexus between a lack of appropriate force training, officer maturity and situational awareness with the occasional tragic consequences of accidental and excessively applied force. In this case, I find a big difference between an intentional and excessive quantum of force and force applied mistakenly during a period of acute hypervigilance that causes death. What is hypervigilance? This is one of five psychophysiological states that a person may experience immediately following an acute phobic scale response (fear/threatened) to a threat, such as a subject resisting or violently attacking them. When threatened, humans will only react in one or more of five separate states: (1) assume a defense posture (fight ); (2) disengage from the threat (flee); (3) posture - raise a voice, puff up their chest, aggressive gestures; (4) hypervigilance - defined as panic, confusion, freezing and/or performing an irrational act; and (5) submit - surrender. Analysis of the recorded evidence in this case shows that Officer Mehserle repeatedly fumbled with his holster while trying to use thumb movements to remove his Taser. He then stood up to create distance, presented and pointed the weapon at Grant about four seconds after he announced his intention to Tase him. Officer Mehserle then fired his gun into Grant's back and immediately exclaimed in obvious surprise once he realized that he had actually shot Grant with his handgun. How was this physical presentation in any way intentional, especially when there were recorded behavioral cues that Mehserle's firing of his handgun rather than his Taser was accidental? To Judge Perry's credit in sentencing former Officer Mehserle, he ultimately decided to dismiss the 12022 .5 PC gun enhancement after finding that there was insufficient evidence to support the charge. Use-of-force trainers and psychophysiologists understand and teach that it takes approximately 10,000 repetitions of any physical skill to engrain that "memory" into the subconscious "mid-brain." It is important to understand that human beings have a forebrain where all cognizant processing takes place, and a mid-brain where subconscious memories lie, but absolutely no thought processing takes place. During an acute episode of extreme stress when the body seeks to protect itself by involuntarily dumping "survival chemicals" such as adrenalin, endorphins and dopamine into itself, if the basal metabolic rate (BMR) rises above 200 beats per minute, the human thought process can almost instantaneously transition from forebrain to mid-brain, or "subconscious mind." If an officer lacks sufficient training or has been improperly trained in critical force and weapon skill sets, there will be no correct force or weapon deployment memory for the brain to access. In such occasions, the officer may easily present with hypervigilance and react with confusion and irrational acts-like pulling a gun, yelling, "Taser!" and then shooting an unarmed and previously resisting but now prone suspect in the back. That's not murder and that's certainly not the "intentional use of a firearm." That is just human nature and the tragic result of the improper training of a young, immature, inexperienced, highly agitated and scared officer. The scary thing is that we have a growing number of Mehserle-like officers in our ranks these days. Use-of-force trainers and police administrators know it, but those administrators simply put their heads in the sand and refuse to train their officers properly. In the immediate case, there appears to be documented evidence that Officer Mehserle received insufficient training by the BART Police Department. The officer was a product of his environment and, in a way, a hostage of the psychological panic and confusion he experienced as a young and poorly trained officer. The young Mehserle will have to live with his fatal mistake for the remainder of his life. While some minority activists and Grant's family claim that Officer Mehserle's shooting of Grant was akin to the Rodney King beating case, nothing could be further from the truth. I know because the Rodney King case was my first federal civil rights consultation case as a police practices expert. On that occasion, I was one of a number of experts who consulted with federal prosecutors. In the Rodney King case, the beating of Mr. King was intentional excessive force and the involved officers and their supervisor were eventually rightfully convicted for their crimes. Former Officer Mehserle's shooting of Oscar Grant was a tragic accident that was classless and colorblind in scope. While I appreciate Hon. Judge Perry's predicament in having to play King Solomon to assuage Grant's family and certain members of the East Bay community in sentencing Mehserle to prison, there is plenty of blame to go around for Grant's untimely and unfortunate death. Today, in our superficial and indulgent society, people are more inclined to assess blame than accept responsibility for their actions. In this case, the issues of contribution to the death of Grant were deflected and redirected toward former Officer Mehserle. This is not right. Grant should not have been involved in any type of disturbance that day, and he certainly should have been compliant and cooperative when contacted by uniformed BART officers. If he had comported himself in this manner, he would be alive today. Grant's associates that evening should have prevented, rather than initiating the disturbance and enabling Grant's participation. The BART District commissioners should have provided better oversight of its Police Department's use-of-force training program, but did not. BART Police Department administrators should have ensured that their poorly developed and executed force training program exemplified "best police practices," but did not. Former Officer Mehserle should have continued to enhance his knowledge of best police practices and his defensive force skill sets apart from the Departmen t's influence, but did not. These are the human errors that created the "perfect storm" that ultimately resulted in Grant's death. However, with all of the above considered, Mehserle should in no way be forced to solely bear the brunt of blame for Grant's death from the confines of a prison cell. In this case, justice was neither coincidental nor intentional. In my opinion, true justice didn't occur. 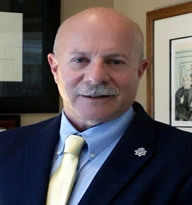 Dr. Ron Martinelli, Ph.D., B.C.F.T., C.L.S., is a former Criminal Justice Training Center Director and current Police / Corrections Practices, Criminal Investigations and Use of Force Instructor with a unique combination of extensive field experience and academic credentials that attorneys, judges and juries appreciate and commend.